Listen, I know it’s 2015 – I understand Barry had to get with the times. He can’t be the leader of the free world and not drop 140 characters here and there, but make no mistake about it: this is bad. We cannot as a country let Obama ACTUALLY be in control of his Twitter. Twitter is basically the “I’m bored” app. Sitting at work during a company meeting? Time to check the timeline. Going to the bathroom for a quick number two and don’t have enough time for a game? That’s an automatic click for the blue bird. For us common folk it’s no problem. We’re not running the country. I know what you’re thinking: “Please, Obama is too busy to be bored!” Wrong. Have you ever watched C-Span? Didn’t think so. I’ll watch 100 episodes of Keeping Up With the Kardashians before I turn on C-Span. 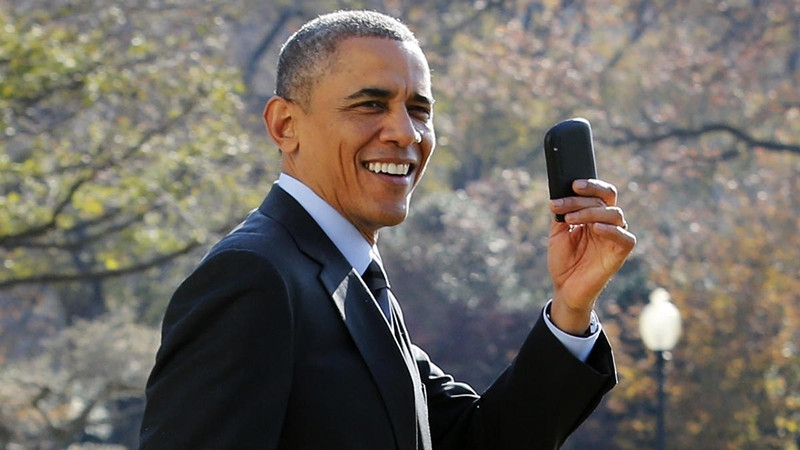 Now that Obama finally has Twitter on his phone (and without a doubt on his home screen) things are going to get tricky. He’s not going to be able to pay attention with that hole burning in his pocket. Hundreds of tweets going unnoticed. Probably mentions out the wazoo. When I get a mention I can’t slide my Twitter open fast enough. We’ve all been there – You know when you tell your girlfriend you’re going to bed so you don’t have to text anymore? It’s the male equivalent of “me” time. Girls get their nails done, guys say they’re going to sleep so we can stare at our phone for three hours in peace. For those of us who’ve been there, you know Twitter becomes a minefield. You’re basically scrolling in slow motion. Finger placement is everything. You can’t scroll too fast or you might accidentally favorite something. Or, worse, accidentally retweet someone. That’s going to be Obama on Twitter 24/7. I’m assuming his schedule is so packed with important meetings and fancy dinners that he probably has to schedule Twitter Time. If he gets caught favoriting Tweets outside those times, hello World War III. And let’s hope if he DOES accidentally favorite a tweet, it’s not a weird one that makes America look bad. Like I said, I’m all for POTUS being with the times, but Twitter is not the answer. He should’ve started small – maybe made a Myspace. He could’ve had the National Anthem as his Myspace song and everything. Server responsed at: 04/25/2019 12:46 p.m.